Yankalilla - Fleurieu Peninsula, South Australia. On a sunny day in spring, there can be few lovelier sights than the one revealed by a cruise down the hill into Yankalilla - a vista over the southern Fleurieu Peninsula. If you want green fields, blue skies and magnficant gum trees, this is it. 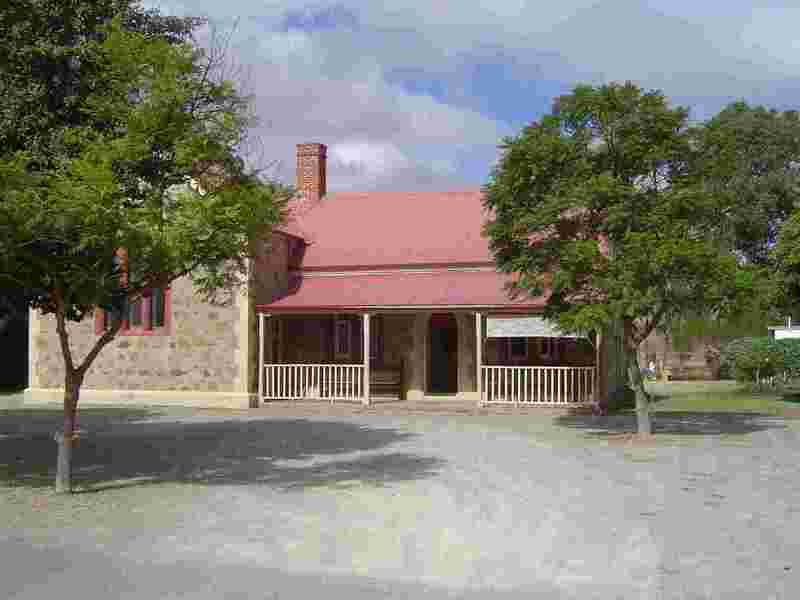 The town dates from the 1850's and is a farming and dairy centre. In modern times the region has drawn a growing number of retirees and holiday makers. The coastline is a short drive away - hopefully the influx of people will not spoil this magnificant coastline. 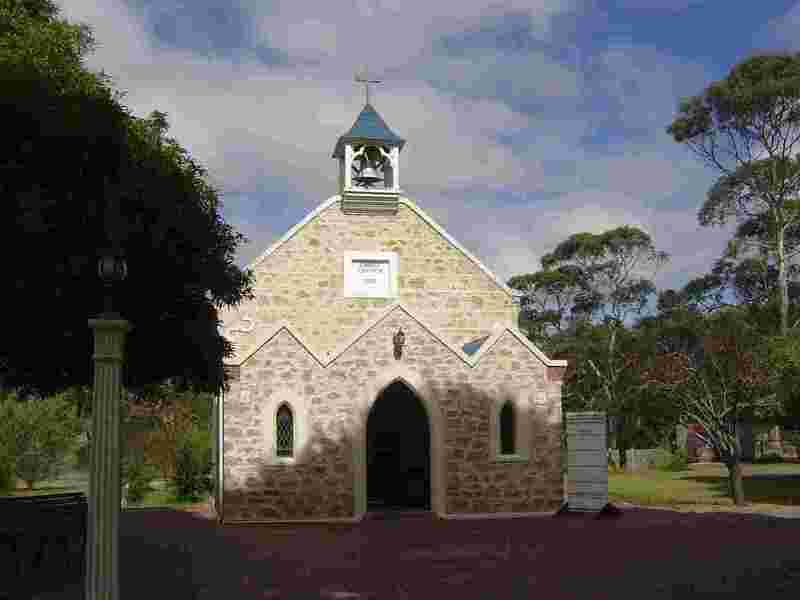 A few years ago it was claimed by the local Anglican priest that an image of the Blessed Virgin Mary had appeared on the inside wall of his church. 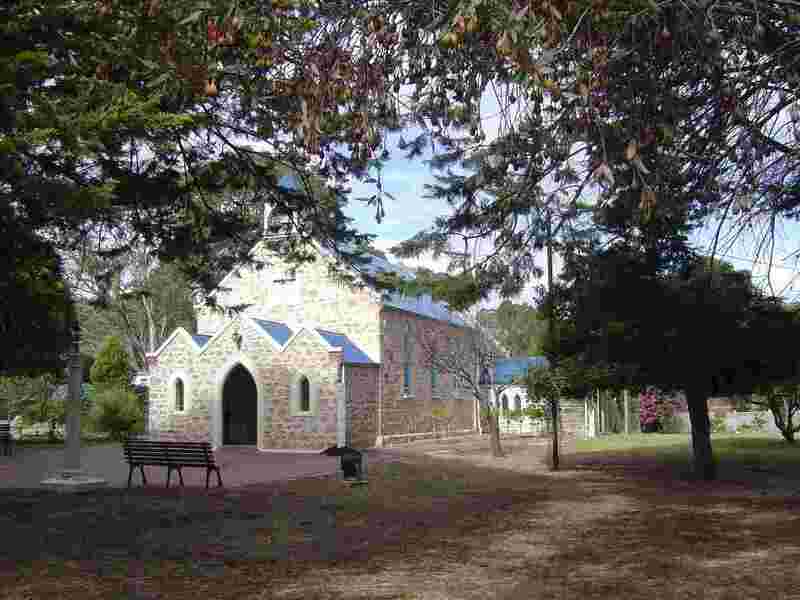 The church has become a shrine and is now known as Our Lady of Yankalilla, attracting pilgrims from all over the world. 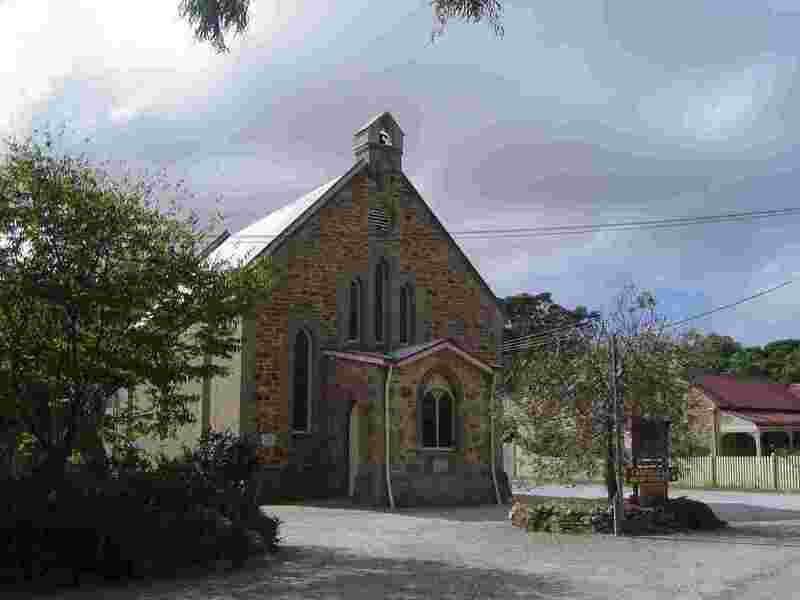 In 2005 it was announced that the Parish of Yankalilla would be deconstructed and the priest would go elsewhere. How the church will remain open is unclear. On entering this church one is struck by how Roman Catholic it feels. On the wall next to the shrine there are dozens of prayer cards from prayerful visitors. Over the main entrance is an original Pro Hart mural.